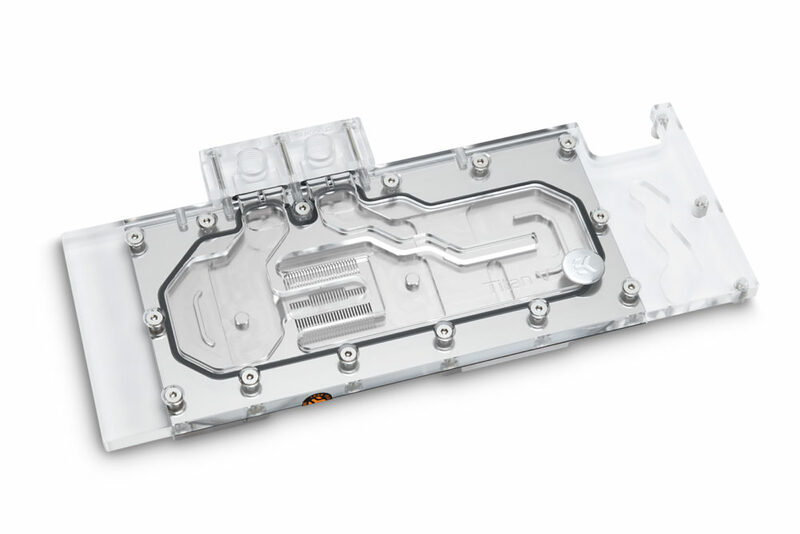 EK® Water Blocks, the Slovenia-based premium computer liquid cooling gear manufacturer, is releasing water blocks for the most powerful PC GPU on the market to this day, the NVIDIA® Titan V. The EK-FC Titan V full cover GPU water block will help you enjoy the full computing power of the Volta architecture based NVIDIA® Titan V in a silent environment! The base of the block is made of nickel-plated electrolytic copper, while the top is made of either acrylic- or POM Acetal material. Screw-in brass standoffs are pre-installed and allow for safe, painless installation procedure. EK® also provides a single-slot I/O bracket which replaces the original two-slot in order to make installation of multiple graphics cards easier and also transforms the GPU into a gorgeous single slot solution! 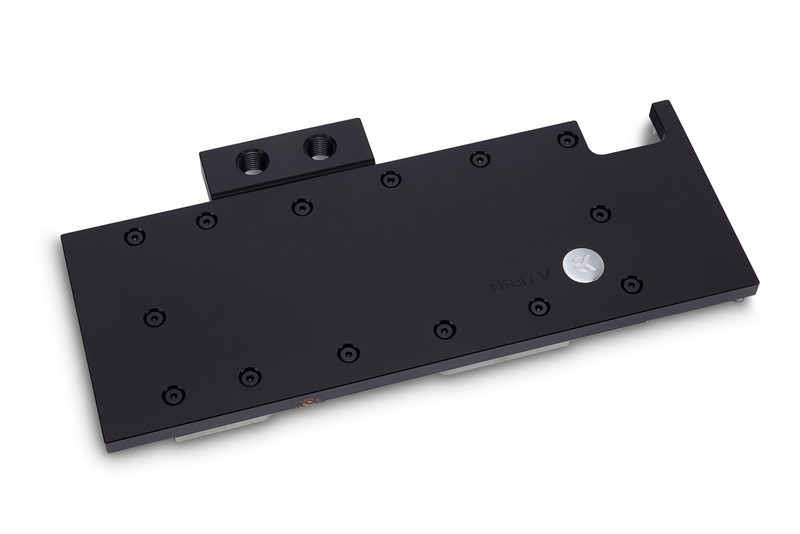 EK-FC Titan V water block is compatible with the NVIDIA® Titan V based graphics card. 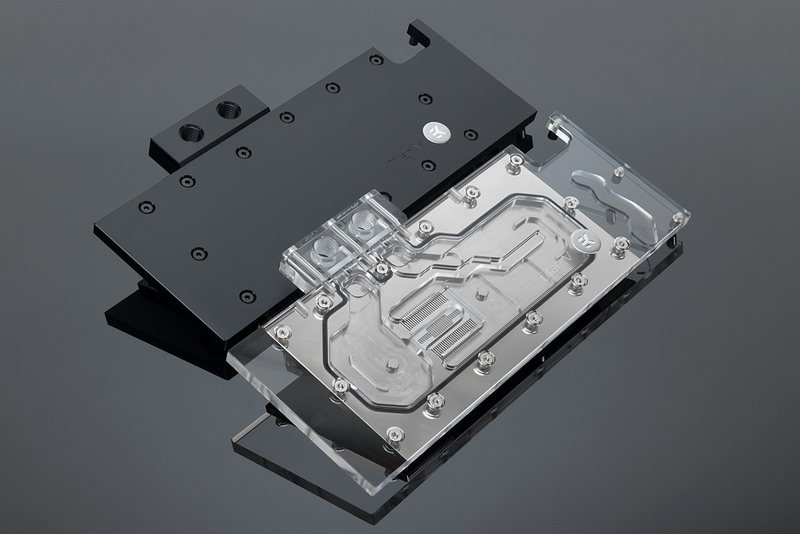 In order to simplify the search for suitable and compatible water block, EK is adding newly released graphics cards and motherboard from various manufacturers to EK Cooling Configurator database and compatible graphics cards are being added to the list on daily basis. 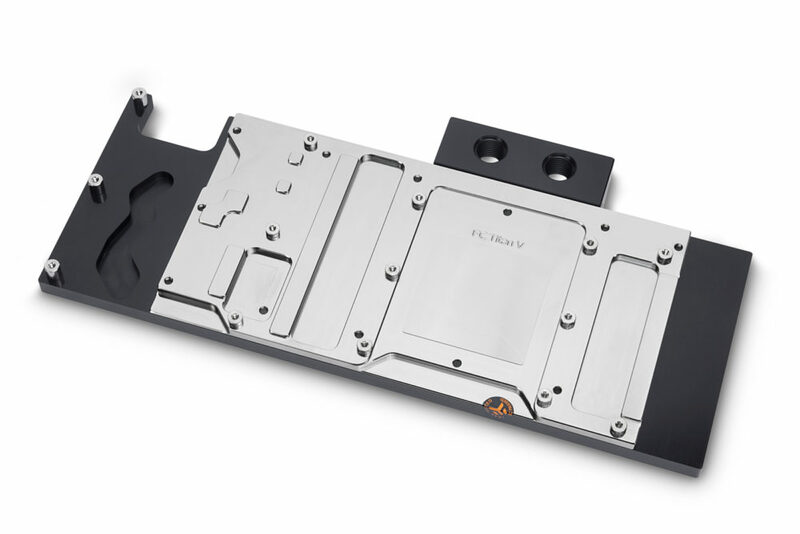 EK-FC Titan V water blocks and the corresponding backplates are made in Slovenia, Europe and are available for purchase through EK Webshop and Partner Reseller Network. EK-FC Titan V Backplate – Black is available for pre-order and will start shipping Tuesday, 27th of February 2018, EK-FC Titan V Backplate – Nickel is available for pre-order and will start shipping Monday, 5th of March 2018! In the table below you can see manufacturer suggested retail price (MSRP) with VAT included.